Community / Work Project: Int’l Svc: World Community Svc Comm. 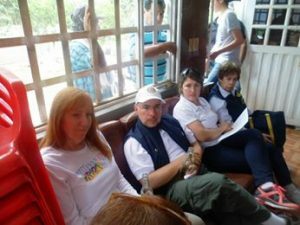 High in the Andes above Bogota, Colombia, the community of Alto del Aguila struggles with intestinal disorders and death due to the poor quality of water from the river that feeds their community. BBRC Water Project in 2013 consisted of building a water treatment plant for a village of 500 people. 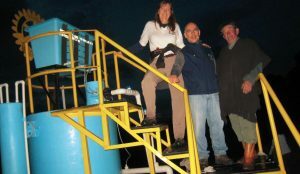 That project successfully brought potable water to a grateful community. 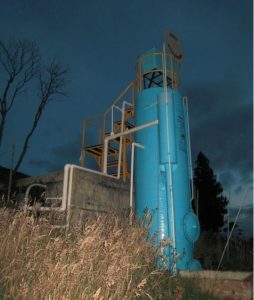 Partnering with the local community and with Rotary Clubs from Bogota, we were able to build this water treatment plant on the hill above the community and the gravity feed system delivers the water to each household. 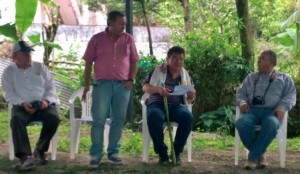 We create sustainable models that can be replicated in other poor communities in Colombia where it is critical to improve access to potable water. 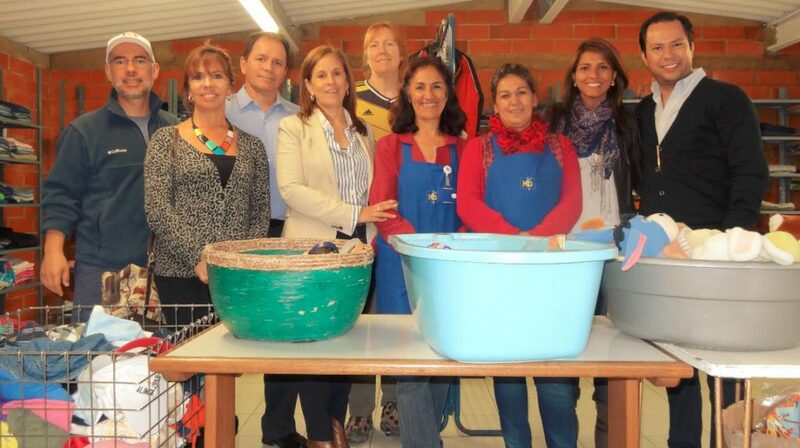 The local Bogota Rotary Clubs work closely with the community to plan, carryout and monitor the success of the projects. how much the community can pay for to keep the system sustainable. The community members invest in the water pipes and water meters as a show of their contribution to the project. The water meters allow community leaders to gauge the success of the project for many years to come and share the costs with the community members who use the water. 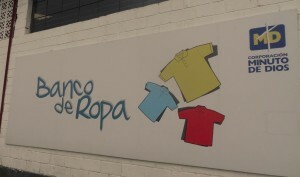 Unlike our State which has many avenues to reuse and recycle clothing and household items, Colombia did not have a good system for collection and redistribution of used clothing. 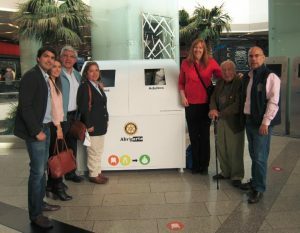 Along came the Rotary Club Bogota Santa Barbara which had a great idea to put clothing collection bins in Malls in Bogota. Bellevue Breakfast Rotary Club has partnered with them to pay for the Collection bins in 8 Malls. 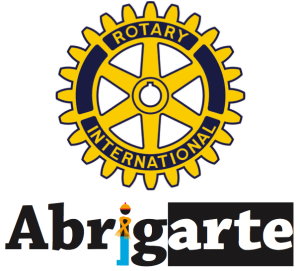 Esteban Numa Liavano, president of the Rotary Club Bogota Santa Barbara, championed this Project which benefits the community but also revitalized his club. This program has been wildly successful. 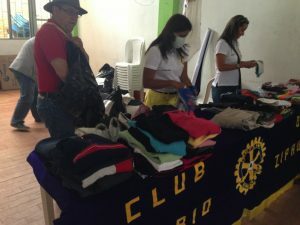 Our Rotary Clubs partner with a trucking company to deliver the donations to the Minuto de Dios. 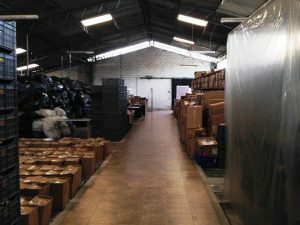 We partner with Minuto de Dios, a Catholic Parish in Bogota which has a big warehouse dedicated to this project. They donate unusable items to recycling. 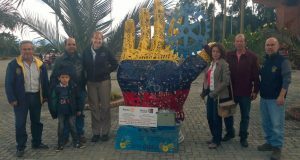 All in all a very meaningful and worthwhile trip to Colombia with Ann and Martin from the Bellevue Breakfast Rotary Club!